Cross-Platform UI components for Windows Forms, WPF, Silverlight and Mac OS X.
NOV Text Editor for .NET - Feature-rich text editor for all NOV platforms (WinForms, WPF, Silverlight, Mac OS X and soon iOS and Android). Embed state of the art Word like processing into your .NET applications. NOV Diagram for .NET - Advanced diagramming solution for cross-platform application development. Develop specialized diagramming or drawing applications of any type. NOV Chart for .NET - Advanced charting component for cross-platform application development. Visualize business, scientific, financial and presentation charts. NOV Gauge for .NET - An advanced Gauge control for all NOV platforms (WinForms, WPF, Silverlight, Mac OS X and soon iOS and Android). Delivering advanced Gauges and visual indicators to your .NET applications. NOV Schedule for .NET - Advanced Schedule control for .NET application development. NOV Barcode for .NET - Feature-rich barcode control for all NOV platforms (WinForms, WPF, Silverlight, Mac OS X and soon iOS and Android). Fast and reliable 1D and 2D barcode generation control. Gain Reusable Knowledge - Thinking of whether you should learn WinForms, WPF, Silverlight and/or other .NET presentation layer? Well this might just be a waste of nerves and time, since no matter what you learn for one of these platforms, chances are it is either not supported or is done in a different way in the others. You finally end up knowing nothing. Why? - Simply because your knowledge was not reusable in the first place. If you learn to program with Nevron Open Vision for .NET however, you can start developing cutting edge applications and user interfaces for all these platforms, from a single code base. No more ""Can I do this here like I did it there?"" - If you know how to do it with Nevron Open Vision – you know how to do it everywhere. That's reusable knowledge. Gain Tangible Knowledge - With a statistical life-cycle of approximately five years, chances are that the presentation layer for .NET that you already know will soon be ""old fashioned"", ""not supported"", ""not developed any more"" or something similar. You will soon again be a newbie, because your existing knowledge is not tangible in time. Nevron Open Vision on the other hand is developed by a company with traditions in long life-cycle projects. Maybe it is time to get your head out of the sand and become acquainted with Nevron Open Vision for .NET – it will prove to be the most tangible .NET knowledge that you have ever gained. Based on Open Standards - That's it - finally a platform-independent presentation layer framework for .NET development that is based on open standards, such as W3C DOM, CSS, TrueType and many others. If you have spent some time developing Web applications you already know the basics of the Nevron Open Vision for .NET – it is basically a managed, platform-independent and extensible browser. Crafted by Professionals - Nevron Open Vision was developed by the Nevron A* team, which features several of the world’s leading experts in Typography, Graphics and Web Browser Engines. It is indeed a masterpiece that is made by professionals with 20+ years of experience. Eliminate Platform Selection Risk - The choice of a presentation layer (i.e. ""WinForms, WPF, Silverlight or other presentation layer? ""), for the project that you manage is typically the most significant decision that you, as a project manager, need to take. It affects many aspects of the project planning such as the proper qualification of the developers that are needed, the portability and life-cycle of your project etc. It is a risky decision that cannot be avoided. The question ""WinForms, WPF, Silverlight or other presentation layer?"" has however only one correct answer - Nevron Open Vision for .NET. With this platform at hand you do not need to choose your .NET presentation layer - Nevron Open Vision integrates with them all. Target More Clients - Binding your project to a specific Presentation Layer means that you limit the scope of the customers that you target. But what if you want your application to run on Windows and Mac, and yet - inside browsers and mobile devices? Nevron Open Vision for .NET helps you expand the scope or your client's base, by providing you with a Cross-Platform Presentation Layer. This ultimately means that it helps you grow your business. Decrease Development Costs - How many developers do you need to make the presentation layer of your application? If you intend to develop for multiple platforms you will surely need dozens. If you are not using a single code base, then you will need hundreds of developers to make things look and feel the same way. In fact even the largest corporations cannot do that, can they? 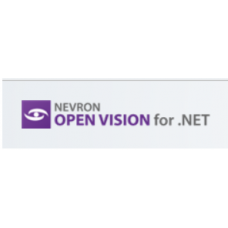 Nevron Open Vision for .NET is a game-changer. You don't need specialized WinForms, WPF, Silverlight and other teams anymore to make one and the same thing to look and feel the same, because Nevron Open Vision is the same on every integration platform. Now you need only One presentation layer team - your Nevron Open Vision team. 1) If you haven't started with Nevron Open Vision for .NET - you will end up trashing your budget and loosing precious time. Maybe a complete rewrite will be needed? Maybe the new environment won't support all the features that you used? Maybe the vendor that you used won't support all the components and features in the new environment? There will be many ""maybe-s"" - they will cost you lots of time and money, and what's worse - some of them won't be solvable. And what if at some point you need to port back... Maybe you haven't started right at the first place. 2) If you have started with Nevron Open Vision for .NET - you will simply recompile for the new environment. It won't take more than an hour. If you need to port back - you will recompile for the old environment. It's that simple, quick and cheap - porting will not be an issue. Increase Your Application Life Cycle - ""What's wrong with our old application? Why do you have trouble adding new features and improving it? Why is it slowly dying?"". Well that's because the environment in which you develop is no longer evolving - its' life-cycle has ended. So the features that used to come out of the box with every new release have suddenly seized in a natural way ... and many issues were left unfixed... They will never be fixed. When you sign for a concrete presentation layer, you sign a hidden lifecycle pact. There are too many corporate interests involved in the presentation layers developed by the large corporations, but there is one common thing for them all - they all have a limited and short lifecycle. Nevron Open Vision for .NET on the other hand is developed by a company with traditions in long lifecycle projects. Since Nevron Open Vision is platform independent, there are no plans to put any limits on this presentation layer lifecycle at all. Whether WinForms, WPF, Silverlight or the other presentation layers in which we integrate is dead, obsolete or not supported any more is of no concern for NOV - it has a lifecycle of its own. One Presentation Layer, One Code Base, One Vendor - Typically, based on the selected platform, new projects are started with third-party components at hand. However, as the component vendors are divided and stretched across so many different platforms, their offerings are very inconsistent and basically contain more or less the same trivial functionality at a greater price. The price is however not the actual problem. When you base a solution on third-party components, you would expect that these components are able to migrate to a new OS or environment. If they don't, then your project is in a stalemate situation - it will never run on a new OS or environment. The truth is that only the components inside Nevron Open Vision for .NET are 100% identical on all environments. There may be other vendors that develop for a wide range of .NET presentation layers, but their toolkits are bound to the underlying framework(s) and their capabilities are quite different on a per platform basis. So no matter where you look, you won't find such an offer: One Presentation Layer, One Code Base, from One Vendor.